Break the mold of "average" and jump into extraordinary at Kendall Ford Lincoln of Anchorage. Our Lincoln dealership is by no means your average dealership and we know that you are not the average customer. That's why we only offer high quality New Lincoln models as well as fairly priced used cars, trucks, and SUVs. We are a family owned and operated business and we love selling American-made cars, trucks, and SUV's in the beautiful Last Frontier State. We're happy to come to work at our Lincoln Dealer each day and help our neighbors find the Lincoln vehicle of their dreams. We welcome all students, current and former military, and commercial providers here at your local Anchorage Lincoln dealership. So come visit us today and let us welcome you home to Kendall Ford Lincoln of Anchorage. Our dealership is conveniently located at 1950 Gambell Anchroage, AK 99501. We are just a short drive away from the communities of Eagle River, Jber, and Chugiak. While you're here experiencing the Kendall difference, schedule a test drive in a brand new 2018 Lincoln Continental or Navigator. Drive in the highest class of luxury with the Lincoln Continental, or enjoy that same level of luxury with all the room and cargo space you'll need with the Navigator. You'll find the ideal Lincoln car or SUV by browsing our new Lincoln dealership inventory and our inventory of used cars and trucks in Anchorage. If you have trouble finding what you're looking for or have any questions, feel free to call or contact us online and our friendly team of knowledgeable professionals will be there to assist you. Bad credit is usually red tape at other dealerships. Not at Kendall. We work with all types of credit, including bankruptcies and first-time buyers. Regardless of your credit situation, we will help you find the right finance option to work with your budget and lifestyle. Start today by visiting our Finance Center and applying for an Anchorage auto loan. You can also find out the value of your current vehicle by using our easy to use trade-in value form. Then, bring your trade-in car truck or SUV to Kendall Ford Lincoln of Anchorage and let us give you the fair trade-in value that you deserve and the hassle free experience you should expect from any honest business. It's our way of keeping things fast and simple so that you have an enjoyable experience here at Kendall. We also offer the Kendall Auto Protection plan on all qualified used vehicles. This comprehensive coverage is unheard of at other dealerships and covers everything from the powertrain to up to 15,000 miles of oil changes. It's our way of going the extra mile for you because, at Kendall, going the extra mile for our customers is just what we do. 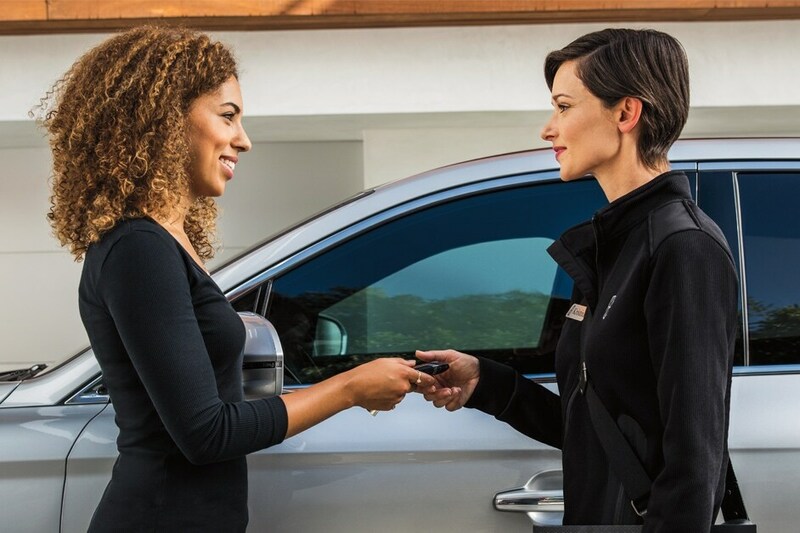 Kendall Ford Lincoln of Anchorage recognizes how much our customers love their new Lincoln cars and trucks and we want to help you increase the longevity of your investment by providing you with unparalleled automotive service that you won't find anywhere else. Simply give us a call or schedule an appointment online and our Lincoln Service Center will take excellent care of you and your vehicle with precision and efficiency. Looking for certified Lincoln parts and accessories? Look no further than our Lincoln Parts Center. We love the state of Alaska and are honored to call it home. Thank you for being our customers, our neighbors, and our family. Because there's no place like home and there's no place like Kendall Ford Lincoln of Anchorage.